Samsung is getting ready to release two new handsets with rather unusual names: Galaxy On5 (model number SM-G550) and Galaxy On7 (model number SM-G600). Previously, these smartphones were known as Galaxy Mega On and Galaxy Grand On. While the two devices haven't been announced yet, their support pages are available over at Samsung India's official website. Moreover, we can already see press renders of the On5. The Galaxy On5 and Galaxy On7 share many of their features, including quad-core Exynos 3475 processors, Android Lollipop, LTE, 5 MP front-facing cameras, 1.5 GB of RAM, 8 GB of internal memory, and microSD card support. The On7 is the bigger device among the two, as it sports a 5.5-inch 720p display, compared to the 5-inch screen of the On5 (which is also a 720p panel). Another difference is related to the phones' rear cameras: the On7 has a 13 MP one, while the On5 makes do with an 8 MP unit. Reportedly, both the Galaxy On5 and Galaxy On7 should be available starting the next few weeks, first in India. The Galaxy On5 is expected to cost around $150, while the larger On7 might cost around $200. Which of these two upcoming Samsung handsets would you buy? 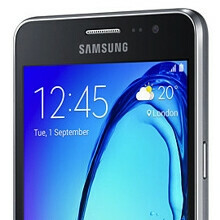 So the Galaxy On5 is basically the Android version of Galaxy Z3 with higher price and lower performance? 5.5-inch 702p display????? Isn't it 720p P.A? PA has been smoking that good good lately. give them a break, they're only journalists. Should have just made a nexus or oneplus fighter. Soon will leak a new Samsung again. Samsung Galaxy Off5 Samsung Galaxy Off7 Samsung Galaxy Off8 Samsung Galaxy Air5 Samsung Galaxy Air7 Samsung Galaxy Air8 Samsung Galaxy Space5 Samsung Galaxy Space7 Samsung Galaxy Space8 Samsung Galaxy E5/E7 is much better than this because it has 16GB internal memory but the same screen resolution. The only bad thing is they don't include to update and stock in KitKat only. Shame for Samsung and they just released this last February and leave them without new OS update. Kinda like a better design the E5/E7 compared to J5/J7. I love my new iPhone 6S as always. Liar Liar!!! U love ur new iPhone 6S but SAMSUNG still have ur heart, hence why u can't stop talking about Samsung.. I don't like Samsung android phone.